Two not entirely unrelated programmes! From New Zealand's South Island, news of the opening of yet another Counterpunch training programme, a further brick in the wall towards building a national network of boxing for Parkinson's in God's Own. 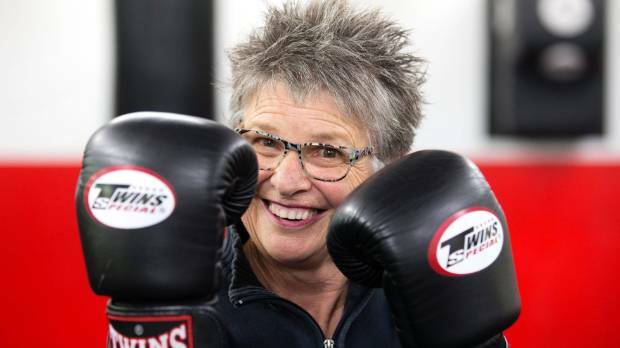 Taranaki Parkinson's chairwoman Ngaire Riley said the non contact boxing skills sessions were another option for sufferers to improve co-ordination, balance and rhythm. 'I was resistant at first because I thought boxing was the last thing we wanted to do but the training is non-contact and only uses the training skills of boxing. It's challenging and it's fun and we hope it can meet the needs for many people who live with Parkinson's in Taranaki'.